My annual summertime love affair with expensive action-packed blockbusters has begun. I skipped Iron Man 3 in favour of Star Trek Into Darkness as quite frankly I wasn’t a fan of the first two Iron Man movies. Star Trek on the other had runs thick in my geeky veins and last night I lost myself in the aptly titled Star Trek Into Darkness. 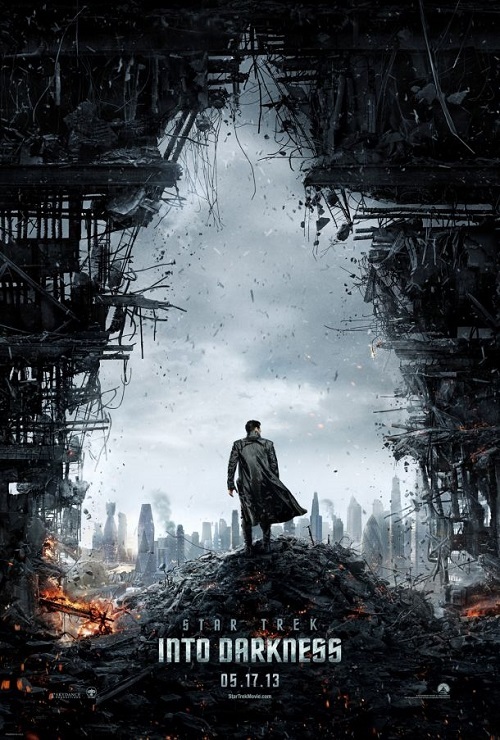 Following up on the 2009 Star Trek movie, Into Darkness picks up with Captain Kirk violating the prime directive leading to him being demoted and stripped of the Enterprise. Not long after Starfleet is attacked and suffer heavy casualties to high-ranking Starfleet officers. Kirk is tasked with searching for an recovering the fugitive but soon discovers that there is much more that has been hidden from him. Thus starts an epic three way battle which will shake the very foundations of Starfleet. From the opening scene right to the end Star Trek Into Darkness is flooded with action and excellent special effects. However it does find time to mix in some comedy and emotion albeit with limited character development. Without going into details that would spoil the well written plot I cans ay the Sta Wars Into Darkness is a great movie to kick off the summer blockbuster season. Go see it at the theatre with a group of friends and enjoy. Looking forward to watching Star Trek Into Darkness? Have you seen it already? Share your thoughts via a comment our tweet me @Jamaipanese.